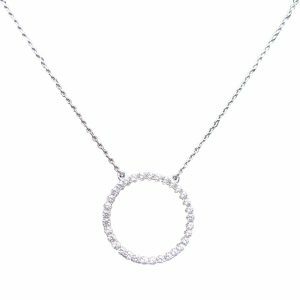 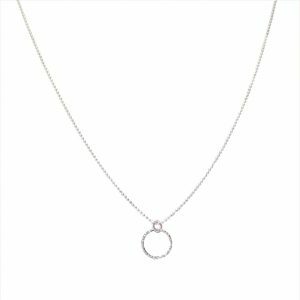 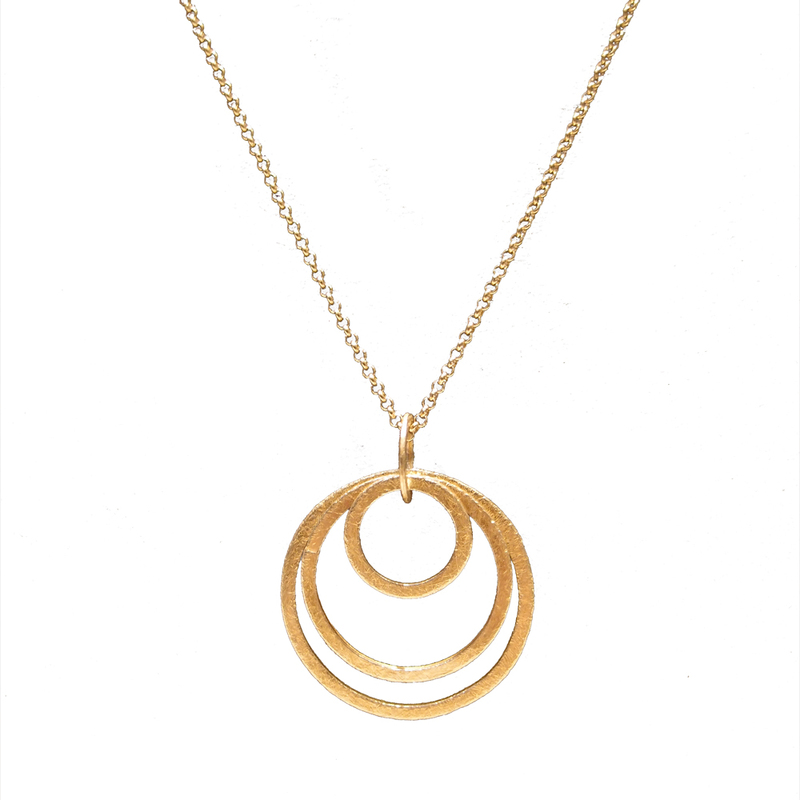 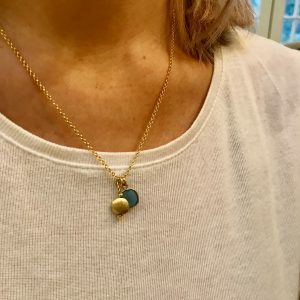 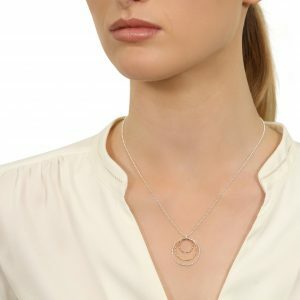 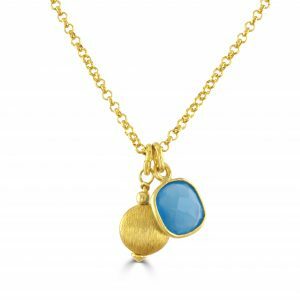 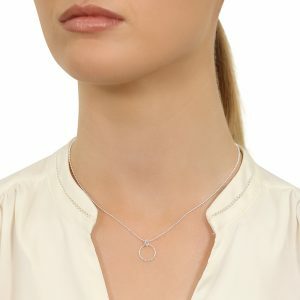 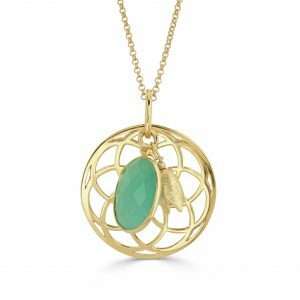 We love this simple, elegant gold circle necklace. Made of 925 sterling silver with gold plate the concentric circles are linked together and have a textured finish. 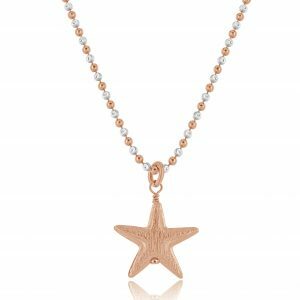 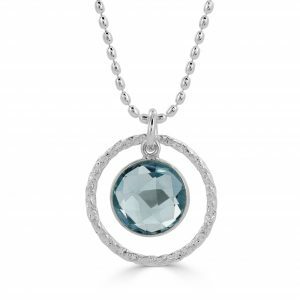 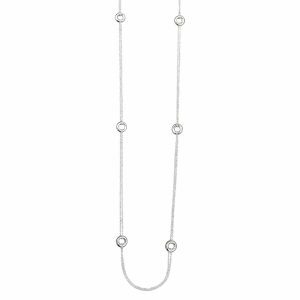 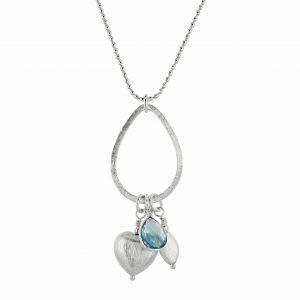 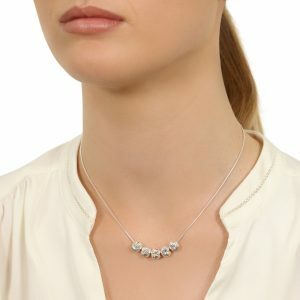 Hung on a soft silver chain which drapes beautifully, this necklace will fast become your ‘go to’ piece. 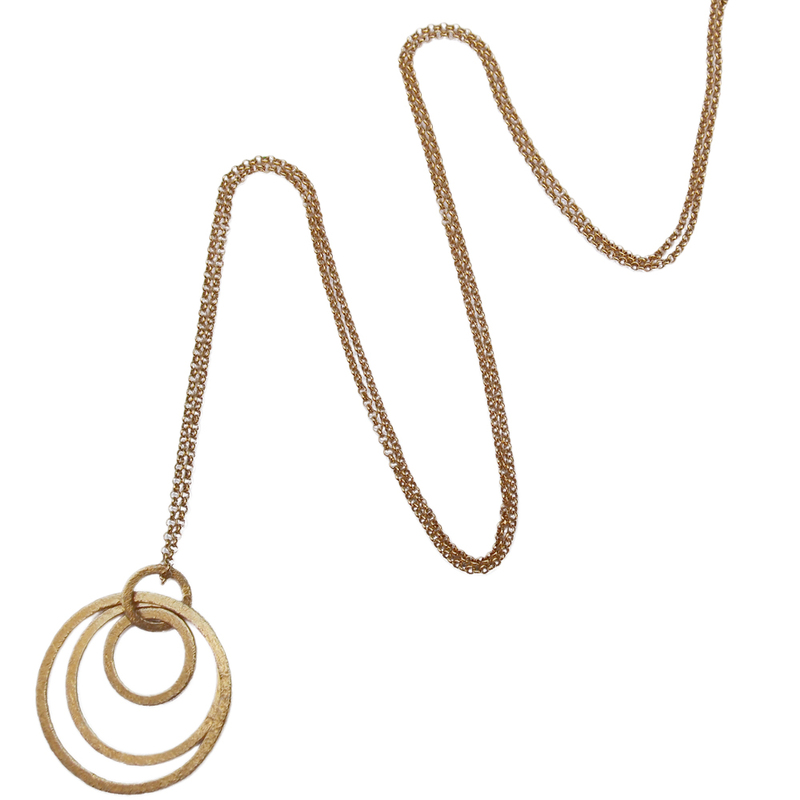 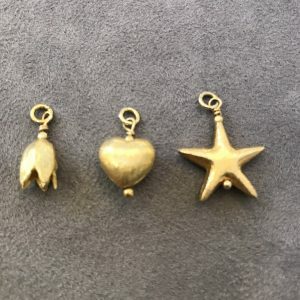 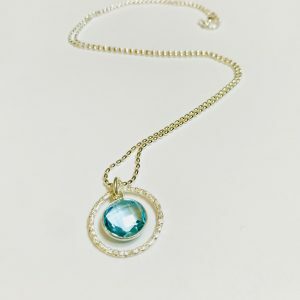 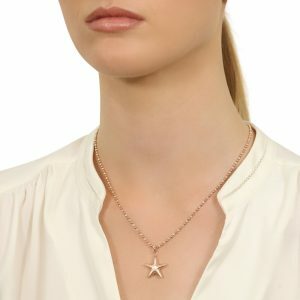 You can select the length of the chain of this Caroline gold circle necklace. 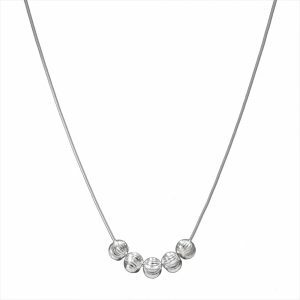 In fact change why not it over at home to give a different look as you can always buy additional chains from us. We often layer this Caroline gold circle necklace with another short necklace which gives a gorgeous look. 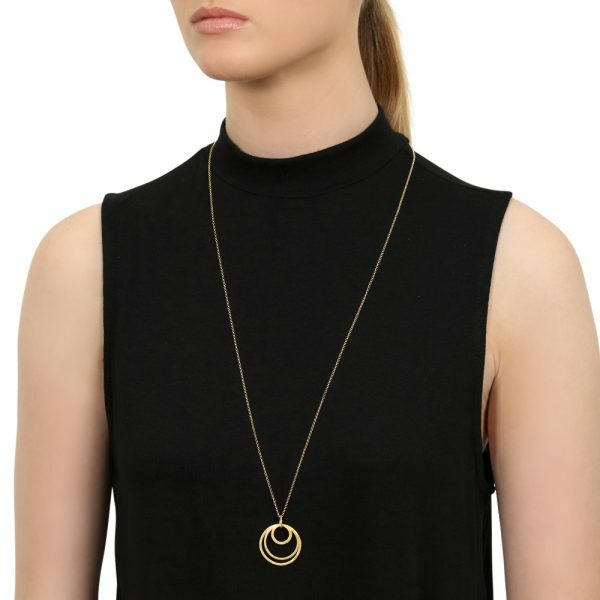 It sits perfectly with a tunic top – patterned or plain – as well as over numerous necklines on dresses and tops. 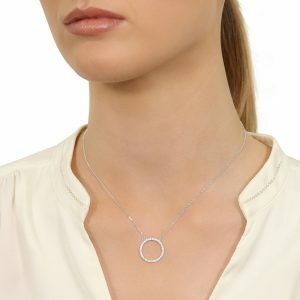 Its a real winner and we know you’ll love it. 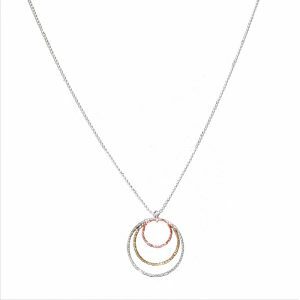 This gold necklace is made of 925 silver with gold plate.